The article appeared in the catalog only in Italian. I had thought about publishing it in English, but held off because at the time I was thinking of writing a book on 1990s Japanese film and the piece would serve as one chapter. 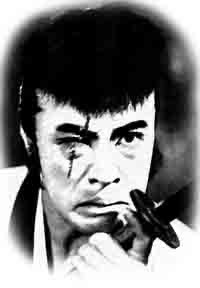 But after writing the Kitano book, my desire for writing on 1990s film ebbed and I moved on to other research, especially film theory. So the piece languished. Luckily, Jose Manuel Lopez, who was coordinating the Las Palmas Film Festival at the time, translated into Spanish a revised version I prepared for the catalog (photo above) of a Kawase retrospective in 2008. Not really having the time to revisit and rewrite it now, I decided a few months ago to bundle the three versions—the English plus the Italian and Spanish translations—and upload it on to the Yale repository. (The English version is the one I prepared for the Spanish translation.) But I forgot to announce it here! 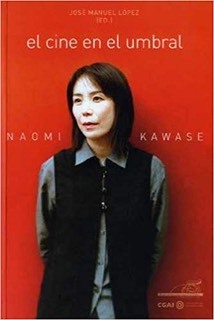 “Ripetizione e rottura nei film di Kawase Naomi.” Kawase Naomi: i film i cinema. Ed. Maria Roberto Novielli. Torino: Effata Editrice, 2002. Pp. 30-37. “Repetición y ruptura en las peliculas de Naomi Kawase.” Naomi Kawase: el cine en el umbral. Ed. José Manuel López. Madrid: T & B Editores, 2008. Pp. 91-100.